Mission Federal ArtWalk - San Diego Dining Dish! 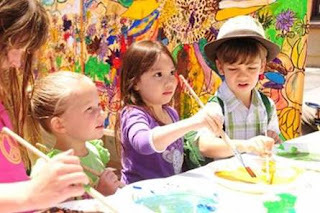 Mission Federal ArtWalk, the largest fine art festival in Southern California and San Diego’s premier arts and cultural event, will return to the streets of San Diego’s Little Italy on Saturday, April 30 and Sunday, May 1. The festival will fill over 15 blocks of Downtown with with over 350 artists, live musical performances, street food, interactive art activities, live visual art performances, a KidsWalk and more. The free weekend long festival will showcase every medium, including painting, sculpture, glass work, photography, fine jewelry and more. New this year, will be the live visual art performance pieces incorporated into the entertainment lineup, featuring Stephen Fishwick, Sarah Stieber, Lana Chromium and other artists.